Researchers are testing new ways to get gene editing proteins into living cells to potentially modify human genes associated with disease. Credit: Stock image. Over the last two decades, exciting tools have emerged that allow researchers to cut and paste specific sequences of DNA within living cells, a process called gene editing. 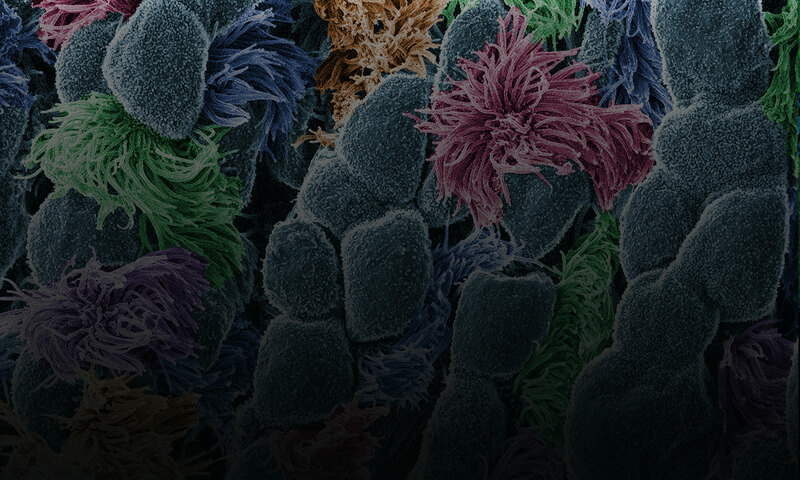 These tools, including one adapted from a bacterial defense system called CRISPR, have energized the research community with the possibility of using them to modify human genes associated with disease. A major barrier to testing medical applications of gene editing has been getting the proteins that do the cutting into the cells of living animals. The main methods used in the laboratory take a roundabout route: Researchers push the DNA templates for making the proteins into cells, and then the cells’ own protein factories produce the editing proteins. Modular microfluidics system. Credit: University of Southern California Viterbi School of Engineering. 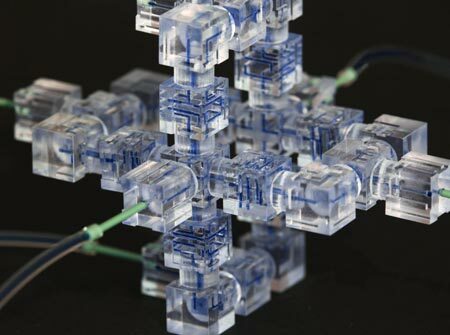 Like snapping Lego blocks together to build a fanciful space station, scientists have developed a new way to assemble a microfluidics system, a sophisticated laboratory tool for manipulating small volumes of fluids. Microfluidics systems are used by scientists to perform tasks as diverse as DNA analysis, microbe detection and disease diagnosis. Traditionally, they have been slow and expensive to produce, as each individual “lab on a chip” had to be built from scratch in a special facility. Now, researchers including Noah Malmstadt of the University of Southern California have harnessed 3-D printing technology to create a faster, cheaper, easier-to-use system . The team first identified the smallest functional pieces of a microfluidics system. Each of these pieces performs one simple task like detecting the size of fluid droplets or mixing two fluids together. After 3-D printing individual components, the team showed that they could be snapped together by hand into a working system in a matter of hours. The individual pieces can be pulled apart and re-assembled as needed before use in an actual experiment, which was impossible with the traditional microfluidics systems. The researchers have created eight block-like components so far. They hope to start an online community where scientists will share designs for additional components in an open-source database, helping to speed further development of the technology. This work was funded in part by NIH under grant R01GM093279. 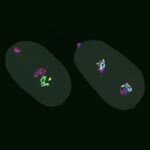 Images of C. elegans embryos show transmission of an epigenetic mark (green) during cell division from a one-cell embryo (left) to a two-cell embryo (right). Credit: Laura J. Gaydos. Chemical tags that cells attach to DNA or to DNA-packaging proteins across the genome—called epigenetic marks—can alter gene activity, or expression, without changing the underlying DNA code. As a result, these epigenetic changes can influence health and disease. But it’s a matter of debate as to whether and how certain epigenetic changes on DNA-packaging proteins can be passed from parents to their offspring. In studies with a model organism, the worm C. elegans, researchers led by Susan Strome of the University of California, Santa Cruz, have offered new details that help resolve the debate. Strome’s team created worms with a genetic change that knocks out the enzyme responsible for making a particular methylation mark, a type of epigenetic mark that can turn off gene expression at certain points of an embryo’s development. Then the scientists bred the knockout worms with normal ones. Looking at the chromosomes from the resulting eggs, sperm and dividing cells of embryos after fertilization, the researchers found that the methylation marks are passed from both parents to offspring. 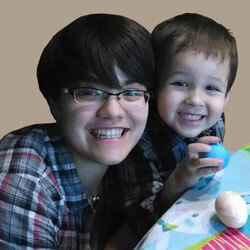 The enzyme, however, is passed to the offspring just by the egg cell. For embryos with the enzyme, the epigenetic marks are passed faithfully through many cell divisions. For those without it, the epigenetic mark can be passed through a few cell divisions. Because all animals use the same enzyme to create this particular methylation mark, the results have implications for parent-to-child epigenetic inheritance as well as cell-to-cell inheritance in other organisms. This work was funded in part by NIH under grants R01GM034059, T32GM008646 and P40OD010440. 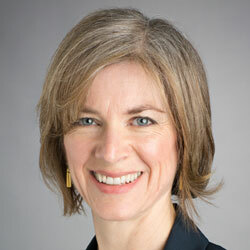 Jennifer Doudna likes to get her hands dirty. Literally. When she’s not in her laboratory, she can often be found amid glossy green leaves and brightly colored fruit in her Berkeley garden. She recently harvested her first three strawberry guavas. Coaxing tropical fruit plants from her childhood home in Hawaii to grow in Northern California is more than just a hobby—it’s an intellectual challenge. Since she was a graduate student, Doudna’s professional puzzle has been RNA, a type of genetic material inside our cells. Recently, there has been an explosion of discoveries about the many roles RNA molecules play in the body. Doudna’s work probes into how RNA molecules work, what 3-D shapes they form and how their structures drive their functions. “I’ve been fascinated by understanding RNA at a mechanistic level,” Doudna says. While teasing out answers to these fundamental questions, Doudna’s lab has played a leading role in a discovery that is upending the field of genetic engineering, with exciting implications for human health. The discovery started with bacteriophages—viruses that infect bacteria, just like the common cold infects humans. About 10 years ago, researchers using high-powered computing to sift through bacterial genomes began to find mysterious repetitive gene sequences that matched those from viruses known to infect the bacteria. The researchers named these sequences “clustered regularly interspaced short palindromic repeats,” or CRISPRs for short. Over the next few years, scientists came to understand that these CRISPR sequences are part of something not previously thought to exist—an adaptive bacterial immune system, which remembers viruses fought off before and raises a response to fight them when exposed again. 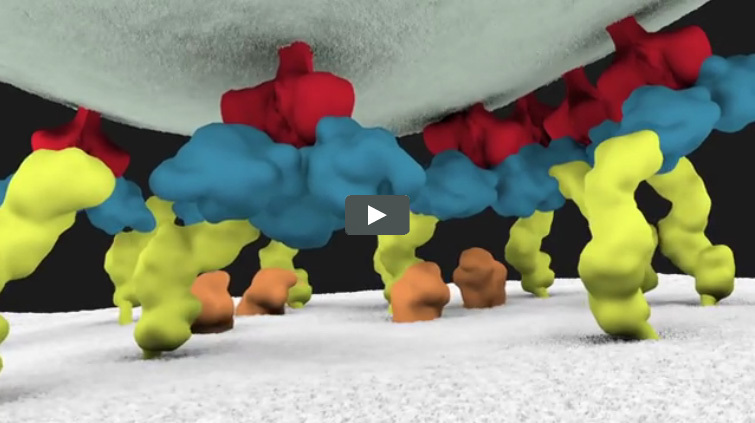 CRISPRs were this immune system’s reference library, holding records of viral exposure. Somehow, bacteria with a CRISPR-based immune system (there are three types now known to scientists) use these records to command certain proteins to recognize and chop up DNA from returning viruses. Wanting to know more about this process, Doudna’s team picked one protein in a CRISPR-based defense system to study. This protein, called Cas9, had been identified by other researchers as being essential for protection against viral invasion. To their delight, Doudna’s group had hit the jackpot. Cas9 turned out to be the system’s scalpel. Once CRISPR identifies a DNA sequence from the invading virus, Cas9 slices the sequence out of the viral genome, destroying the virus’s ability to copy itself. Doudna’s lab and their European collaborators also identified the other key components of the CRISPR-Cas9 system—two RNA molecules that guide Cas9 to the piece of viral DNA identified by CRISPR. Even more importantly, the researchers showed that the two guide RNAs could be manipulated in the lab to create a tool that both recognizes any specified DNA sequence and carries Cas9 there to make its cut. “That was really where we made the connection between the basic, curiosity-driven research that we were doing and recognizing that we had in our hands something that could be a very powerful technology for genome editing,” remembers Doudna. She was right. After publication of their 2012 paper, the field of CRISPR-guided genetic manipulation exploded. Labs around the world now use the tool Doudna’s team developed to cut target gene sequences in organisms ranging from plants to humans. The technique is already replacing more time-consuming, less-reliable methods of creating ‘knock-out’ model organisms (those missing a specific gene) for laboratory research. 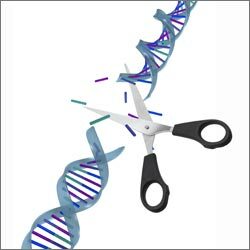 CRISPR-based editing even allows more than one gene to be knocked out at the same time, something that was not possible with previous genome-editing techniques. The ability of CRISPR systems to recognize DNA sequences with extraordinary precision also holds potential for human therapeutics. For example, a paper from another laboratory published early this year showed that, in a mouse model, CRISPR-based editing could cut out and replace a defective gene responsible for a type of muscular dystrophy. Researchers are testing similar CRISPR-based techniques in models of human diseases ranging from cystic fibrosis to blood disorders. Doudna is a co-founder of two biotechnology companies hoping to harness the potential of CRISPR-based genome editing. Although the technology holds great promise, she acknowledges that much work needs to be done before CRISPR can be considered safe for human trials. Major challenges include assuring that no off-target cuts are made in the genome and finding a safe way to deliver the editing system to living tissues. She is also excited to continue working with her research team, advancing the basic understanding of the CRISPR-based system. “I’m very interested in seeing what we can contribute to the whole question about how you deliver a technology like this, how you can use it therapeutically in an organism. That’s an area where we hope that our biochemical understanding of this system will be able to contribute,” she concludes. Dysfunction in our internal clocks may lead to insufficient sleep, which has been linked to an increased risk for chronic diseases. Credit: Stock image. Our internal clocks tell us when to sleep and when to eat. Because they are sensitive to changes in daytime and nighttime cues, they can get thrown off by activities like traveling across time zones or working the late shift. Dysfunction in our internal clocks may lead to insufficient sleep, which has been linked to an increased risk for chronic diseases like high blood pressure, diabetes, depression and cancer. Researchers led by Yi Liu of the University of Texas Southwestern Medical Center have uncovered a previously unknown mechanism by which internal clocks run and are tuned to light cues. Using the model organism Neurospora crassa (a.k.a., bread mold), the scientists identified a type of RNA molecule called long non-coding RNA (lncRNA) that helps wind the internal clock by regulating how genes are expressed. 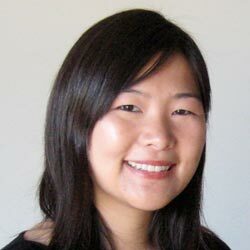 When it’s produced, the lncRNA identified by Liu and his colleagues blocks a gene that makes a specific clock protein. 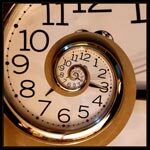 This inhibition works the other way, too: The production of the clock protein blocks the production of the lncRNA. This rhythmic gene expression helps the body stay tuned to whether it’s day or night. The researchers suggest that a similar mechanism likely exists in the internal clocks of other organisms, including mammals. They also think that lncRNA-protein pairs may contribute to the regulation of other biologic processes. Anesthesia and Brain Cells: A Temporary Disruption? 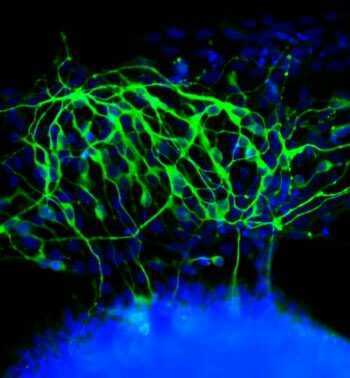 Hippocampal neuron in culture. 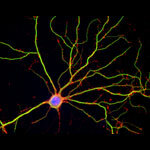 Dendrites are green, dendritic spines are red, and DNA in cell’s nucleus is blue. Credit: Shelley Halpain, University of California, San Diego. Anesthetic drugs are vital to modern medicine, allowing patients to undergo even the longest and most invasive surgeries without consciousness or pain. Unfortunately, studies have raised the concern that exposing patients, particularly children and the elderly, to some anesthetics may increase risk of long-term cognitive and behavioral issues. A scientific team led by Hugh Hemmings of Weill Cornell Medical College and Shelley Halpain of the University of California, San Diego, examined the effects of anesthesia on neurons isolated from juvenile rats. Given at doses and durations frequently used during surgery, the commonly administered general anesthetic isoflurane did in fact reduce the number and size of important structures within neurons called dendritic spines. Dendritic spines help pass information from neuron to neuron, and disruption of these structures can be associated with dysfunction in thinking and behavior. Promisingly, the shrinkage observed by the researchers appeared to be temporary: After the researchers washed the anesthetic out of the cell cultures, the dendritic spines grew back. But because neurons in culture do not reproduce all aspects of intact neuronal networks, the scientists explain that the findings should be verified in more complex models. Other molecular mechanisms may also potentially contribute to late effects of anesthesia exposure.